What exactly is Smart Manufacturing? Over the past several years, the topic of SMART Manufacturing has been a conversation among industry experts, strategists and thought leaders. However, despite its media coverage, many on the front lines of manufacturing aren’t quite sure what SMART Manufacturing entails or why it’s even relevant to their organization. The concept and successful implementation of SMART Manufacturing is being predicted to be the Fourth Industrial Revolution. And with many other advances in recent years, it all has to do with technology connectivity and the unprecedented access to, and contextualization of, data. 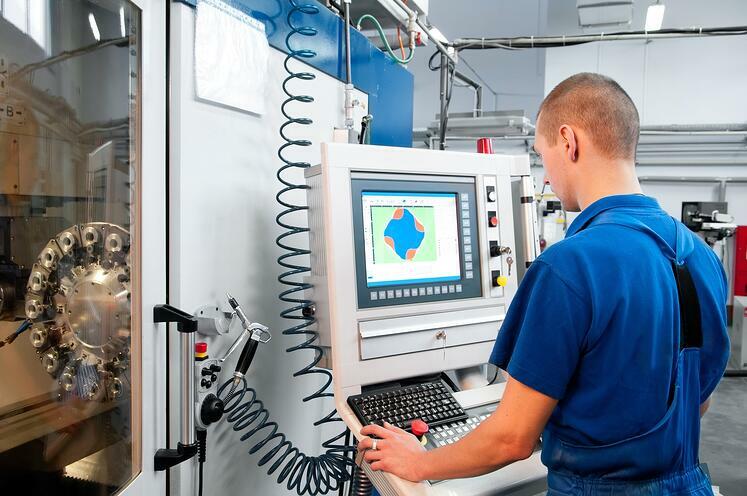 Manufacturing is evolving and your business needs to evolve too. The Fourth Industrial Revolution has arrived as manufacturers meld new technologies such as the Internet of Things (IoT), robotics, virtual reality (VR) and artificial intelligence (AI) into their business strategies. SMART Manufacturing – Sense, Measure, Analyze, Report and Train – will be an integral component of this strategy. The McKinsey Global Institute in its report, “The Internet of Things: Mapping the Value Beyond the Hype,” stated that SMART Manufacturing will generate a total economic impact of $3.9 trillion to $11.1 trillion a year by 2025. The report states that factories are expected to have the greatest potential impact on SMART Manufacturing -- as much as $3.7 trillion per year. By not moving forward, you may be leaving your business behind. What Does SMART Mean for the Manufacturer? If you’re a small manufacturing organization, what are your strategies for improving upon your processes? What do you want to accomplish – increase sales, reduce costs, improve efficiency, or have a more agile supply chain? It’s likely that you’ve purchased hardware or software along with a license to use the technology to help you accomplish one or more of your goals. It also offers the ability to collaborate with suppliers, both upstream and downstream, more effectively. A common misconception about SMART Manufacturing is that it will require organizations to drastically transform their current operations and invest in advanced technology that will be too complex to adjust to. While some change is necessary, of course, SMART greatly simplifies this transition by building to the capabilities that manufacturers have currently. One of the key concepts involved is recognizing the value of data as a key asset to be developed and managed. Put another way, for a system that analyzes data, the key asset is not the analytics system itself but the data itself. It’s the data used to build and validate the analysis and the data that are generated. Such an emphasis on data causes us to think differently about where to focus resources. For any operational objective, there needs to be a source of relevant data. The sources of data can be as basic as a fax machine, tablet or smart phone -- or as sophisticated as a wide area sensor network. The point is, data is valuable in the context of the operational objective, not the sophistication of the sensors. There are many highly beneficial applications that can draw upon data. Infrastructure changes needed to accommodate the applications that use and act on the data happen within the SMART platform — giving manufacturers the convenience of making less drastic changes within their facilities. SMART Manufacturing will lead to significant changes in business opportunities and operations over time. A major part in seeing success early has to do with the company culture and the commitment of team members. It’s important to remember that all the integration and use of technology is rendered useless if it is combined with employees who don’t fully understand how it will make their job easier, not harder. And just as crucial as employee support is needed for a successful SMART path, it can also serve as the biggest hurdle in implementation.